The workshop is led by amazing Mari Suviste, who has long-term experience in training, consulting startups and digital marketing. How to reach your customer and how to sell your service & product. 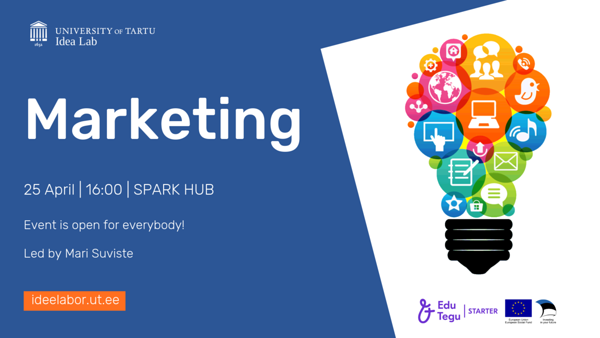 Marketing workshop will consist of a lecture part and also practical work! A piece of wisdom: "Marketing without a strategy is like a blind dragon – it can breathe fire and cause destruction (usually to your budget) but without purpose." The workshop is held in English and free for everyone, but for reserving a seat and snacks please register before the event. The event is funded by EIT Health.